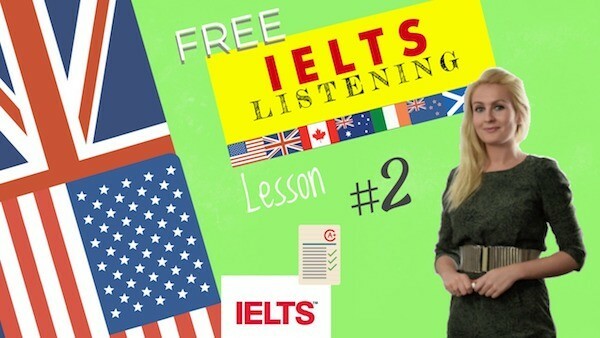 You will now have 4 listening exercises in the IELTS listening test: 4 videos each followed by 1 quiz. You will hear a tour of a newly renovated health club. First you have some time to look at questions 11 to 15. 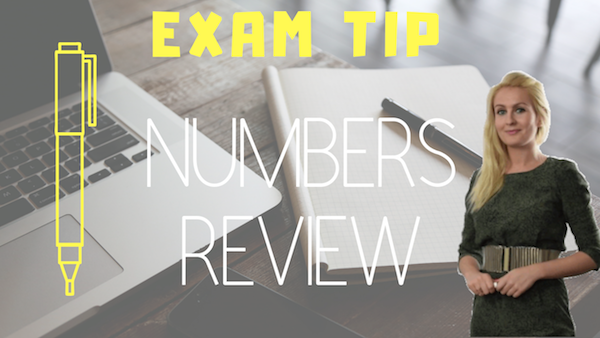 As you listen to the first part of the talk, answer questions 11 to 15. Thank you all for coming to see the new renovations to the Hartford Health Club! I know you’ll be as pleased as I am to see the wonderful results of our months of hard work to improve the club and bring you the best facilities ever! We’ll begin in here with the swimming pool. You’ll notice the new color of the adult pool, a lovely cool green. Now walk over here and look at the children’s pool! It’s the same green but as you see with brightly coloured sea creatures painted everywhere! Both of the pools needed painting, not only for maintenance. But I think the new colour greatly improves the atmosphere of this part of the club! Next let’s take a look at the locker rooms. Don’t worry there’s no one using them just now! Doesn’t it feel roomy in here? We’ve expanded both the men’s and women’s locker rooms. So now they’ll be much more comfortable to use. There are bigger lockers a good deal more room in the dressing area and more places to store extra towels and equipment. Be careful as you walk through here. The floors just been polished and may be a bit slippery! Let’s go up to the exercise room next! Here you’ll notice a new floor. Walk on it! Doesn’t that feel comfortable? It’s a special material softer than the old floor – an ideal surface for jogging and exercising! They had to move all the exercise equipment out while they were working on the floor. But don’t worry it will be brought back in before the end of today! Let’s step outside now and look at the tennis courts! We haven’t done a great deal here except to the equipment. We replaced all the nets and the ball throwing machine. Otherwise everything is the same as it was before. Let’s walk down this hallway! And here we are at the club store in its new location. We thought here by the entrance was a better place for it than where it used to be – by the swimming pool. But it still has all the same items for sale sports equipment and clothes in the club colours. We’re excited about the upcoming activities and events to take place in our newly renovated Club! Now that the pools are ready for use again, swimming lessons will begin tomorrow for both adults and children. If you haven’t signed up yet, you can stop by the office before you leave today and put your name on the list. If you’re a tennis player, you’ll be interested to hear about the tennis competition coming up on Wednesday. Players from different clubs all over the region will be participating. If you’d like to watch the event, tickets are available in the office. Also I want to be sure you all know you’re invited to a club party coming up next weekend. We’re celebrating the completion of the renovation work and we have a lot to celebrate! The entire renovation project was finished in just nine months. That’s three months less than the twelve months we’d originally planned on. We’re proud of that and proud that we came in under budget too! Because we’ve had such good results with this project, we’re already planning the next one. We already have two indoor pools and next year we plan to install an outdoor pool right next to the tennis courts. Details of these plans will be made available to all Club members soon. All right I think we’ve covered just about everything. That is the end of section two. You know have half a minute to check your answers. Escuchará un recorrido por un club de salud recientemente renovado. Primero tiene tiempo para ver las preguntas. Mientras escucha la primera parte de la charla, responda las preguntas 11 a 15. ¡Gracias a todos por venir a ver las renovaciones al Hartford Health Club! ¡Sé que estaréis tan contentos como yo de ver los maravillosos resultados de nuestros meses de arduo trabajo para mejorar el club y ofreceros las mejores instalaciones! Comenzaremos aquí con la piscina. Notaréis el nuevo color de la piscina para adultos, un precioso y fresco verde. ¡Ahora venid aquí y mirad la piscina de los niños! ¡Es el mismo verde pero como veis con criaturas marinas de colores brillantes pintadas en todas partes! Ambas piscinas necesitaban pintura, no solo por mantenimiento.¡Pero creo que el nuevo color mejora mucho la atmósfera de esta parte del club! A continuación, echemos un vistazo a los vestuarios. ¡No os preocupéis, no hay nadie usándolos ahora mismo! ¿No parece espacioso? Hemos ampliado los vestuarios de hombres y mujeres. Entonces ahora serán mucho más cómodos de usar. Hay taquillas más grandes, mucho más espacio en el vestidor y más lugares para guardar toallas y equipos adicionales. Tened cuidado al caminar por aquí. ¡Los suelos han sido pulidos y pueden estar un poco resbaladizos! ¡Vamos a la sala de ejercicios al lado! ¡Aquí veréis un nuevo suelo! ¡Caminad sobre él! ¿No se siente cómodo? Es un material especial más suave que el anterior: ¡una superficie ideal para correr y hacer ejercicio! Tuvieron que sacar todo el equipo de ejercicio mientras trabajaban en el suelo. ¡Pero no os preocupéis, volverá a aparecer antes del final de hoy! ¡Salgamos ahora y miremos las pistas de tenis! No hemos hecho mucho aquí excepto en el equipo. Reemplazamos todas las redes y la máquina lanzadora de bolas. Por lo demás, todo es igual que antes. ¡Vamos por este pasillo! Y aquí estamos en la tienda del club en su nueva ubicación. Pensamos que la entrada era un lugar mejor para ella que el lugar donde solía estar: junto a la piscina. Pero tiene todos los mismos artículos para la venta de equipos deportivos y ropa en los colores del club. ¡Estamos entusiasmados con las próximas actividades y eventos que se llevarán a cabo en nuestro Club recientemente renovado! Ahora que las piscinas están listas para usarse nuevamente, las clases de natación comenzarán mañana tanto para adultos como para niños. Si aún no te has registrado, puedes pasar por la oficina antes de irte hoy y poner tu nombre en la lista. Si eres un jugador de tenis, te interesará saber sobre el concurso de tenis que se realizará el miércoles. Jugadores de diferentes clubes de toda la región participarán. Si deseas ver el evento, las entradas están disponibles en la oficina. También quiero asegurarme de que todos sepáis que estáis invitados a una fiesta del club el próximo fin de semana. Estamos celebrando la finalización del trabajo de renovación y ¡tenemos mucho que celebrar! Todo el proyecto de renovación se ha terminado en solo nueve meses. Eso es tres meses menos que los doce meses que habíamos planeado originalmente. ¡Estamos orgullosos de eso y orgullosos de haberlo logrado también por debajo del presupuesto! Debido a que hemos tenido tan buenos resultados con este proyecto, ya estamos planeando el próximo. Ya tenemos dos piscinas cubiertas y el próximo año planeamos instalar una piscina al aire libre junto a las pistas de tenis. Los detalles de estos planes estarán disponibles pronto para todos los socios del Club. Está bien, creo que hemos cubierto casi todo. Ese es el final de la sección dos. Ahora tiene medio minuto para verificar sus respuestas. You will hear a museum director talking to several student interns, explaining their internship duties at the museum. Welcome to the City Museum of Art! I’m dr. Shirley Johnson, the director of the museum’s internship program. Today I’ll be giving you an orientation to the museum and our museum administrators internship program. Will we get a chance to tour the museum today? Yes, we’ll start right now with a tour of the building! We’ll skip the basement – most of that part of the building is devoted to art conservation which won’t be part of your internship. Let’s begin here on the ground floor with the museum offices. I guess this is where we’ll be spending most of our time, helping with the office work. You’ll spend some time working in here so you can learn what the administrative duties involve. But you’ll also get a chance to experience all aspects of museum work. This room in here is the museum tours office. I’m interested in that! I’d really like to help out with the tours! That’s great because you’ll all have a chance to lead some tours and maybe even to develop a tour of your own! Let’s go up to the second floor now! This is the boardroom in here, isn’t it? Will we get to go to board meetings? Only members of the board of directors attend those. Now, back here behind the galleries are the classrooms. You’re all welcome to attend any class you want, at no charge! But we won’t be teaching any, will we? No, the staff of the education department is responsible for that. Let’s move up to the third floor now and the research department! Each of you will spend some time working in here. Great! I’d like to help with the research! We’re working on some very interesting research projects right now! Also as an extension of your research work, you will probably contribute to some of the museum’s brochures. I’m looking forward to that! I like writing about art! Another thing I’ve been hoping to be able to do is meet some artists! You’re in luck then! We’ve planned a reception for the first day of your internship. And you’ll have the chance to meet several local artists then! Could you give us a little background of the museum? I mean, when it was built? And some information about the collections and things like that? Of course! The main part of the museum was built in 1895 with a combination of public and private funds. The new wing was built 60 years later, with a donation from the Rhinebeck family. That part of the museum was built for the modern art collection, wasn’t it? Yes, it was in the main part of the museum. We have a gallery devoted to works by local artists, our sculpture collection, and a small collection of classical European art. You mentioned classes earlier. What kinds of classes does the museum offer? In our adult education program, we offer a series of art history classes. And for children we have a program of arts and crafts workshops. You can get a brochure from the office. That will give you more information. I saw a lot of chairs set up in the main hall. What are those for? Those are there for tonight’s musical performance. We offer a weekly concert series during the fall and winter. And of course, all of you are welcome to attend. Now if there are no more questions, let’s step into my office and I’ll show you your schedules. Escuchará a un director de museo hablando con varios estudiantes de prácticas, explicando sus deberes de prácticas en el museo. Primero, tiene tiempo para ver las preguntas 21 a 25. Mientras escucha la primera parte de la conversación, responda las preguntas 21 a 25. ¡Bienvenido al Museo de Arte de la Ciudad! Soy Dr. Shirley Johnson, director del programa de prácticas del museo. Hoy les daré una orientación sobre el museo y el programa de prácticas para administradores de museos. ¿Tendremos la oportunidad de recorrer el museo hoy? ¡Sí, comenzaremos ahora mismo con un recorrido por el edificio! Nos saltaremos el sótano: la mayor parte de esa parte del edificio está dedicada a la conservación del arte, que no formará parte de sus prácticas. Comencemos aquí en la planta baja con las oficinas del museo. Creo que aquí es donde pasaremos la mayor parte de nuestro tiempo, ayudando con el trabajo de oficina. Pasará algún tiempo trabajando aquí para que pueda aprender qué implican los deberes administrativos. Pero también tendrá la oportunidad de experimentar todos los aspectos del trabajo del museo. Esta sala de aquí es la oficina de visitas del museo. ¡Estoy interesado en esto! ¡Realmente me gustaría ayudar con las visitas! ¡Eso es genial porque todos tendrán la oportunidad de conducir algunos tours e incluso de desarrollar su propio tour! ¡Vamos al segundo piso ahora! Esta es la sala de juntas, ¿no? ¿Tendremos la oportunidad de ir a las reuniones de la junta? Solo los miembros de la junta directiva asisten a ellas. Ahora, aquí detrás de las galerías están las aulas. ¡Todos son bienvenidos a asistir a cualquier clase que quieran, sin coste! Pero no enseñaremos nada, ¿o sí? No, el personal del departamento de educación es responsable de eso. ¡Pasemos al tercer piso ahora y al departamento de investigación! Cada uno de ustedes pasará algún tiempo trabajando aquí. ¡Estupendo! ¡Me gustaría ayudar con la investigación! ¡Estamos trabajando en algunos proyectos de investigación muy interesantes ahora mismo! También como una extensión de su trabajo de investigación, probablemente contribuirán con algunos de los folletos del museo. ¡Estoy esperándolo ansiosamente! ¡Me gusta escribir sobre arte! ¡Otra cosa que he estado esperando poder hacer es conocer a algunos artistas! ¡Estás de suerte! Hemos planeado una recepción para el primer día de sus prácticas. ¡Y entonces tendrán la oportunidad de conocer a varios artistas locales! ¿Podría darnos un poco de antecedentes del museo? Es decir, ¿cuándo fue construido? ¿Y alguna información sobre las colecciones y cosas por el estilo? ¡Por supuesto! La parte principal del museo se construyó en 1895 con una combinación de fondos públicos y privados. La nueva parte se construyó 60 años después, con una donación de la familia Rhinebeck. Esa parte del museo fue construida para la colección de arte moderno, ¿no? Sí, estaba en la parte principal del museo. Tenemos una galería dedicada a obras de artistas locales, nuestra colección de esculturas y una pequeña colección de arte europeo clásico. Mencionaste clases antes. ¿Qué tipo de clases ofrece el museo? En nuestro programa de educación para adultos, ofrecemos una serie de clases de historia del arte. Y para los niños tenemos un programa de talleres de artes y oficios. Pueden obtener un folleto de la oficina. Eso les dará más información. Vi muchas sillas en la sala principal. ¿Para qué son? Están allí para la actuación musical de esta noche. Ofrecemos una serie de conciertos semanales durante el otoño y el invierno.Y, por supuesto, todos ustedes son bienvenidos. Ahora, si no hay más preguntas, entremos en mi oficina y les mostraré sus horarios. You will hear a lecture about the history of the tomato. First you have some time to look at questions. The tomato is a popular vegetable which figures in the cuisine of many countries around the world. It is particularly prominent in Italian cooking but it was unknown in Europe until Spanish explorers brought it back from the Americas. The tomato originated in the highlands of Peru. From there it eventually found its way to Mexico where it was cultivated by the Aztecs. The Aztec tomato wasn’t the large red vegetable we know today. Rather it was small and yellow. When this small round fruit arrived in Italy, it was named Golden Apple for its bright yellow color. You’ll notice I just called it a fruit. That’s because a tomato is botanically a fruit even though almost everyone calls it a vegetable. The actual word tomato comes from the Aztec name for the vegetable meaning plump thing. The tomato arrived in Europe in the 1500s and quickly became a popular food in Spain and Italy. In the late 1600s the Italians began publishing recipes that used Tomatoes. The British however had a different attitude toward the vegetable. It was grown as an ornamental plant in Britain in the 1600s but it wasn’t eaten because it was thought to be poisonous. It wasn’t until the 1700s that tomatoes became part of the daily diet in Britain. In the United States tomatoes were also used as ornamental plants rather than as food. For a long time this attitude began to change in the 1800’s. In 1806 a gardener’s calendar mentioned that tomatoes could be used to improve the flavor of soups and other foods. Thomas Jefferson did much to enhance the tomatoes reputation as a food. He first served tomatoes to visitors at his home in Virginia in 1809. Then in 1820 a man named Robert Gibbon Johnson decided it was time to discard once and for all the idea that tomatoes were poisonous. To prove his point he ate one kilo of ripe red tomatoes in public which took place on the steps of the courthouse in Salem Massachusetts. Amazingly enough Johnson survived this stunt. The popularity of the tomato as a food began growing rapidly. Soon people all around the country were eating tomatoes. By the 1830s American newspapers and magazines were publishing thousands of tomato recipes. However all those recipes involved using tomatoes in some cooked form. Tomato salads and sandwiches were still unknown. It wasn’t until a century later in the 1930s that it became popular for people to eat raw tomatoes. You now have half a minute to check your answers. Escuchará una conferencia sobre la historia del tomate. El tomate es un vegetal popular que figura en la cocina de muchos países del mundo. Es particularmente importante en la cocina italiana, pero se desconocía en Europa hasta que los exploradores españoles lo trajeron de América. El tomate se originó en las tierras altas del Perú. A partir de ahí, finalmente encontró su camino a México, donde fue cultivado por los aztecas. El tomate azteca no era el gran vegetal rojo que conocemos hoy. Más bien era pequeño y amarillo. Cuando esta pequeña fruta redonda llegó a Italia, se llamó Golden Apple por su color amarillo brillante. Notarás que acabo de llamarlo una fruta. Eso es porque un tomate es botánicamente una fruta, aunque casi todo el mundo lo llama un vegetal. La palabra actual tomate proviene del nombre azteca para la palabra vegetal que significa algo regordete. El tomate llegó a Europa en el año 1500 y rápidamente se convirtió en un alimento popular en España e Italia. A fines del 1600, los italianos comenzaron a publicar recetas que usaban tomates. Los británicos, sin embargo, tenían una actitud diferente hacia el vegetal. Se cultivó como una planta ornamental en Gran Bretaña en el siglo XVII, pero no se comió porque se pensaba que era venenosa. No fue sino hasta la década de 1700 que los tomates se convirtieron en parte de la dieta diaria en Gran Bretaña. En los Estados Unidos, los tomates también se usaban como plantas ornamentales en lugar de como alimentos. Durante mucho tiempo, esta actitud comenzó a cambiar en el siglo XIX. En 1806, el calendario de un jardinero mencionaba que los tomates podían usarse para mejorar el sabor de las sopas y otros alimentos. Thomas Jefferson hizo mucho para mejorar la reputación de los tomates como alimento. Primero sirvió tomates a los visitantes en su casa en Virginia en 1809. Luego, en el año 1820, un hombre llamado Robert Gibbon Johnson decidió que era hora de descartar de una vez por todas la idea de que los tomates fueran venenosos. Para demostrar que tenía la razón, se comió un kilo de tomates rojos maduros en público, que tuvo lugar en los escalones del juzgado de Salem, Massachusetts. Sorprendentemente, Johnson sobrevivió a este truco. La popularidad del tomate como alimento comenzó a crecer rápidamente. Pronto la gente de todo el país estaba comiendo tomates. En la década de 1830, los periódicos y revistas estadounidenses publicaban miles de recetas de tomate. Sin embargo, todas esas recetas involucraron el uso de tomates en forma cocida. Las ensaladas y sándwiches de tomate aún se desconocen. No fue hasta un siglo más tarde, en la década de 1930, que se hizo popular que las personas comieran tomates crudos.